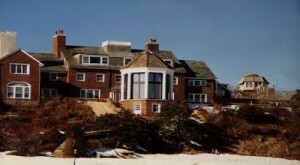 The Grant residence is a private residential compound in Osterville, Massachusetts overlooking Nantucket Sound on Cape Cod. 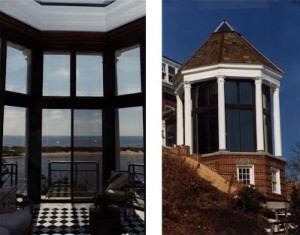 Following the purchase by our client, we developed an overall master plan. The building and grounds were originally built as portions of a larger family estate; our plan unified these buildings and spaces into a new cohesive composition. Design and construction management services were provided for this diverse project, which involved new construction and landscaping from new mechanical systems, Winter reading in gazebo, pool and guest house, rifle range, and full room restoration. Major additions and alterations to the house and grounds update its style, and provide a more pleasurable environment for the owners to enjoy the surrounding natural beauty of the Cape.